We are pleased to announce our 131 issue of the openSUSE Weekly News. "openSUSE 11.0 was released on 19th of June 2008 and was planned to be under security maintenance for two years. Upon multiple requests from the community, the SUSE Security and Maintenance Team has decided to extend the maintenance period of openSUSE 11.0 until openSUSE 11.3 release, which is scheduled for July 14th 2010. We will stop handling new requests at that day and plan to finish with the last update on July 21st 2010 to assue that openSUSE 11.0 users have a smooth upgrade path to openSUSE 11.3. Special thanks to Dirk Mueller who innitiated this." The current wiki, online since the start of the openSUSE project in 2005, grew wild into something that is not maintainable anymore. This is because content in it is in no way structured and we use it as a simple information dump. We don’t have any rules on how to present information or how to connect it to related bits and everybody is just adding pages. It makes adding content very easy but it neglects completely the biggest group of users of this wiki: the readers. On a normal day we have 10 people adding and 78.000 reading content. Yet we do very little to ensure that those 78.000 people find what they are looking for." The devil is in the details – What changes on monday for the wiki oldtimers? "A couple of days ago I gave you the big picture on what will happen to en.opensuse.org on Monday when we switch to the new wiki. Now let me go into the nitty gritty details of the change to the new wiki. I especially want to focus on the changes important for the people who are familiar with the old wiki. Here we go. ..."
The wiki team has worked hard to get the new wiki tested and perfected for Monday. However, if any issues are discovered after the switch, please send a message to webmaster@opensuse.org or file a bug at http://bugzilla.novell.com under the openSUSE.org product." Repositories: 23015 (-1447) by 23737 (+67) confirmed users. "openSUSE 11.3 is almost Gold, with that openSUSE Education team is also ready with the “Release Candidate” of Li-f-e based on 11.3. The DVD iso image doubles as live USB image too, just “dd” the iso to 4GB+ USB stick to get fully functional desktop/server on a stick. Check out this development release to report any bugs or missing feature before we go gold. We are looking for volunteers to do a detailed preview for the launch, drop us a line if you are interested." "With openSUSE 11.3 less than a week away, soon it’ll be time to think about 11.3+1 which will be released in March 2011 with KDE SC 4.6. This should interest people using the KDE Factory repository a great deal, because it means that Factory should move to KDE SC 4.5 RC very shortly, and in November it will move to KDE SC 4.6 Beta. Leaving users with no choice other than using 4.6 Beta or downgrading to 4.4.4 which will be the version officially supported in 11.3 and available in the KDE Stable repository. In other words, if you don’t wish to use KDE SC 4.6 Beta in November, don’t use the KDE Factory repository! Switch to the KDE Stable repository, which already has 4.4.4. Consider yourself warned." Unfortunately the project didn’t make the cut but fortunately there is Hackweek yay! So, I spent the last couple of days playing around with Mono and C#, first I wrote a new loader for Mono, this allowed me to use recomp to register some services, next I modified unopkg to accept a Mono component bundled in an extension." "I am very excited to see the first MonoTouch book published. You could not ask for a better team of authors to explain the MonoTouch and the iPhone platform. Chris, Craig, Martin, Rory, and Wally. This book was a team effort by various active members of the MonoTouch community. They nurtured the community from the start by exploring MonoTouch, by reporting bugs and missing functionality in MonoTouch and by guiding .NET developers through the new world of building iPhone applications. Congratulations on the book release guys!" "Over the past couple of years Microsoft has been open sourcing some key .NET libraries under the MS-PL or Apache 2 license. In Mono 2.8, the following assemblies and code come from Microsoft: ..."
"I realise we are using a time based release, and no longer chase feature releases, but 11.3 will ship with KDE 4.4 when 4.5 will ship three weeks later. I realise you don't just drop in an entirely new DE version a week before opensuse hits RC, but it would be a crying shame for two releases in a row, eight months apart, both to use an 'old' major release of KDE. For this reason I would be very keen to look at the KDE 4.6 release schedule (should be end of january), and see if we cannot plan to include it in opensuse 11.4 (which in theory is due end of february at the earliest)." "DHCP allows distribute information about NTP Servers that the clients should use. This works pretty well when using the "traditional ifup based" network configuration. It doesn't work however with NetworkManager." "Most people i know uses Outlook for mail. When i receive HTML mail on evolution sent by outlook it does not always looks as when it was sent. Since webkit seems lightweight and renders HTML very well i think it would be suitable for adding this feature to evolution." "When using Oneklick install, usaly the needed repositories are added to the repository list, even if you just need only one package from that repository. if you are using One Klick Install multiple times the user probertly would end up with an unnecessary long list of ununsed repositories. how about removing them shortly after One Klick Install has finished or at least ask the User for removing or keep the useed repository. Its enoying to delete them manualy everytime you do an OneklickInstall." "openSUSE should have a shorter and synced with Ubuntu/Fedora release cycle. If there is an easy and guarantied way to dist-upgrade like a script working: (...)"
"There's a problem with gnome monitor prefereces: the preferences if for the user and the user is only known after the login, but X starts and shows GDM before the login. So there is an extra flicker (in my case it flickers twice for some reason) when changing from the gdm monitor settings to the gnome desktop monitor settings." "My recommendation is to integrate KNemo with NetworkManager. KNemo which provides interface, network and download statistics. The NetworkManager is missing these features. We can have the best of both worlds in a single package that would use a single applet and icon." "The other day the, secret, internal, 'from scratch' re-write of GStreamer integration was announced by StarDivision. You can read the wonderful news on their corporate blog. There is also some amusingly mis-directed marketing effort focused on Ubuntu as well. What does this mean for Linux users ? Nothing. With this great leap forward in Linux support you are unlikely to notice any difference at all; why ? Because all Linux distributions (SUSE, RedHat, Debian, Ubuntu, Mandriva, and more than I can list) have already been shipping GStreamer support since 2006. That was mostly written by Radek Doulik from Novell, with fixes from Redhat's superstar Caolan McNamara. The real question is: Why would StarDivision want to draw attention to their traditional feature gap, by making noise about shipping multimedia support four+ years late ? while simultaneously alienating valuable contributors and continuing to tear down its developer community (that would love to help close OO.o's feature gap) ? if that interests you - read on: ..."
"Below is a graphical representation of OOo’s module dependencies as of DEV300 milestone 84 generated via graphviz. Click on the image to get the whole picture." "For general news about the openSUSE Testing Core Team, please see the minutes and the links within it. The Team held its regular IRC meeting last Monday to report our experiences with RC2. Of the bugs we have been tracking, many have been fixed, and we did not find any new ones that could be considered "show stoppers". From our experiences, it appears that 11.3 will be a high-quality release. Stephan Kulow has identified the build for the iso images that are likely to be the official 11.3 release. The NET and DVD images for i586 and x86_64 architectures have been made available to our Team, and we will be testing over the weekend. So far, I have installed on an HP netbook using the NET CD, without finding any important bugs." The mail lists have: 37542 (+24) subscribers. Most users ever online was 30559, 08-Jan-2010 at 13:06. 4762 (+18) of 12187 (+23) registered contributors in the User Directory have signed the Guiding Principles. The board has acknowledged 427 (+1) members. "Power management features for Radeon graphics chips, the first groundwork for supporting 3D with Evergreen GPUs, H264 decoding in Intel's Ironlake driver and the support of Intel's next generation of desktop and notebook chips, are some of the major graphics driver advancements of Linux 2.6.35." 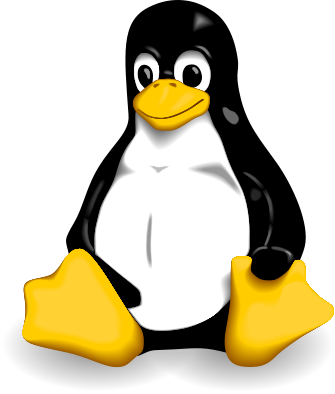 "Greg Kroah-Hartman has released five new stable Linux kernels, correcting minor errors of their predecessors and including improvements which are unlikely to generate new errors. As so often with kernel versions in the stable series, it remains undisclosed if the new versions contain changes which fix security vulnerabilities, although the number of changes and some of the descriptions of those changes certainly suggest that all the new versions contain security fixes. As usual, Kroah Hartman advised in the release emails, that "All users of the 2.6.27 kernel series are very strongly encouraged to upgrade to the new version"; in other release emails, he advises users "should upgrade"." "Very good movie who explains the using of ooo's Draw Application." "I started using KDE when version 4.0 was out. I had had a taste of KDE 3.5, which I didn't like, but release 4.0 looked like a big step forward, so I was tempted to give it a go. Just like so many others, I found KDE 4.0 disappointingly slow, unstable and unintuitive. However, I did see lots of potential in it and kept using it release after release." "Plasmoids provide a powerful platform to build up the KDE desktop, but making a custom Plasmoid does require quite a bit of time and skill. The good news is that it is easy to build a Plasmoid that will display a web page, which allows you to take advantage of any existing web based gadgets." "Microsofts ISA proxy server is popular in many corporations. Unfortunately support for NTLM authentication is spotty in Linux at best. This article will show you how to connect to the internet via an ISA proxy when NTLM is not supported." "Maybe some of us knowing a Commandline Tool called "Siga". SIGA stands for System Information GAthering. It collects various system information and outputs it in HTML or ASCII format. It is very handy as an information source during installation support phone calls. 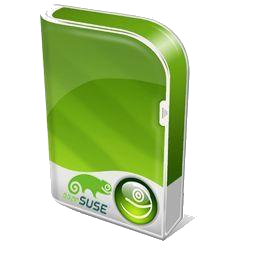 You are experiencing an issue with your installation of openSuSE and to help technical support analyse the cause of the problem as fast as possible, you want to assist them by providing information specific to your system. Through siga you can find the needed Informations very quick." "Compiz has been in the works for a long time, but just now 0.9.0 has been released. Packages for openSUSE are on their way and will arrive in OBS://X11:Compiz:Next in a few minutes. THEY ARE COMPLETELY UNTESTED BY ME YET (...)"
"Our good friend and contributor Lee "oldcpu" Matheson did a nice screencast of the very lightweight LXDE desktop on openSUSE 11.3 RC1. LXDE on openSUSE is quite an interesting undertaking, as it was completely pushed, driven and implemented by members of our community, without a single minute being spent on time sponsored by Novell ;) Andrea Florio did most of the work and lead the charge from the beginning, so kudos to him as well." "I updated the documentation about even shorter and more portable URLs to openSUSE build service repositories. The thing is, the zypp stack (zypper and YaST2) send the version of the openSUSE it is running on as an HTTP header when performing an "add repo" operation. That is now used on the server side when a version is not specifically mentioned in the URL. e.g. : zypper ar -r http://r.opensu.se/network:utilities.repo"
"I’m in the unfortunate situation that my employer uses a Juniper SSL/VPN solution with network connect capabilities (to initiate a real tunnel). The solution is built around some Java code, some suid services and obviously exists as 32bit only. Since the update from v5 to v6.5, network connect does no longer work when initiated from the web interface, which is a shame. The issue is a 32bit library that seems no longer to be nicely wrapped and thus the 64bit java is no longer able to start the processes up. The worst about all of it: there is no error message, no log file. If you’re lucky enough and you only have username / password auth, you can simply use ncsvc with some parameters. Of course I am less fortunate, and besides username/password, we also use a OTP RSA Token. And of course, ncsvc does not offer any option to enter a 2nd password." "I had some free minutes today at Akademy, so I decided to build an ownCloud appliance. I did a few iterations in SUSE Studio and there you go: ownCloud in a box." "I recently migrated all of the Banshee web server stuffs to a Linode 768. We were previously running on an incredibly slow, unreliable, and expensive dedicated co-lo machine that once hosted a number of Novell community projects. As part of the migration, go-oo (Novell's edition of OpenOffice) has migrated to openSUSE infrastructure, and I've taken F-Spot with me to Linode. The performance and reliability so far has skyrocketed, and the flexibility we now have is very welcome. The Banshee web site is powered by openSUSE 11.2, lighttpd, MySQL, and WordPress. The new Linode backup service is a huge relief, which we are using in addition to daily cron-based on-system backups. I've been a huge and loyal fan of Linode since 2005, and am happy to bring Banshee along!" "I'm very excited to announce I have just landed support for downloading and importing your Amazon MP3 purchases into Banshee. It is a simple extension that understands the download queue file that Amazon delivers after a purchase is made. Linux Desktop integration is provided so that your web and file browsers associate Banshee with the download queue file." "well, it's not that it can read XML files from a twitter feed now ;) but after this blog, starting from today, AutoYaST goes one further step to web 2.0 and has it's own twitter account. And it seems you can't do any bigger project these days without something like a blog, twitter or facebook or ... so ... here it is." "If you look at the list of binaries for a package (e.g. icecream), you may think that you can download the RPM right away – but if you follow the link in a browser you get to see details about the rpm. Now if you only want to download it, you may already know the details and don’t care. So I added a little shortcut: if you request the binary url with a client not accepting html explicitly (e.g. curl, wget…), you get the file directly. Just copy & paste the link to your console and be done. ..."
"Yes, its been forever and then some since I’ve messed with this stuff. I’m finally trying to make sure that I get some work done on this. The first item of business is the new iFolder appliance project page being hosted on google code. This is where I’d like to post updates, release notes, progress, errata, the how to, fixes, workarounds, etc. The next thing I want to mention is that I’ve started to work on an openSUSE 11.2 based iFolder appliance that will include, as of right now, iFolder 3.8. : I’ll be posting links to the test images for anyone that would like to help test, comment, contribute, etc. Please feel free to post bugs to the project page and I’ll do my best to fix them." "This thread progresses to provide some interesting feedback on the developing 11.3 release. There seem to be more folks getting involved with pre-release this time too." "Some users experienced problems with Build Service supplied Firefox with a recent update. Suspicion suggests these users did not have the vendor switch properly applied to the mozilla repo." "Nothing like a Virtual Box problem. We hinted it might better for the OP to consider PUEL version. I suspect there is more to this users issues than is readily apparent." "Epic, but some interesting and valuable information which will surely be helpful to others too. Some good dual boot guidance." "Every now and then, I receive emails from people who are asking me to explain the benefits or advantages of using Linux. I just answered them with a link or two to articles that could give a good explanation regarding the subject matter. But since I realized that it would be better if my response were based on my own experience, I finally decided to write a simple list." "Firefox is my preferred Web browser on Linux, and one of the reasons I like it so much is due to the various extensions that are available for it. Whether you hate or love Firefox itself, the extensions are what usually turn the tide as to whether it is used, and Firefox has some great extensions that really enhance the Web browsing experience. I wanted to share a few of my favorite Firefox extensions, so here goes." "Jonathan Pobst has released a new version of his paint program, Pinta, a lightweight app that runs on Linux, OSX and Windows and is built entirely using Gtk#. In this version, Jonathan added the MonoDevelop docking library to allow users to reorder the editing tools to match their workflow:"
"The Samba team isn’t expecting to release Samba 4 until the first half of 2011 (optimistically) but work on support for Microsoft’s SMB2 — and older SMB/CIFS — has moved ahead quite nicely. Samba leader Jeremy Allison said support for SMB2 — which was introduced in the Windows Vista client — is finished and will be made available for testing in the next significant Samba release." "The latest version of openSUSE hit final code last week and is not due for official release until July 15, but The Reg is here to give you a tour of its pros and cons. The free operating system has been somewhat maligned for its association with Novell, the Linux company that partnered with Microsoft and is now touting itself for sale, so it's perhaps unsurprising that the release comes on the heels of a new mission statement that seeks to create a bit of distance between openSUSE and Novell's commercial projects." "Firefox has been taking heat from Google Chrome over speed for some time, but the world’s most popular open source browser is getting ready for a comeback. Can Firefox 4.0 woo back some of the early adopters who’ve embraced Chrome? It looks like it will have a very good shot." "Google has released Chrome 5.0.375.99 for Linux, Mac, and Windows to address multiple vulnerabilities. These vulnerabilities may allow an attacker to execute arbitrary code or cause a denial-of-service condition." "A security researcher said on Thursday he was the first to crack the code embedded in the seal of the U.S. Cyber Command (Cybercom), the group responsible for protecting the country's military networks from attack. Sean-Paul Correll, a threat researcher with antivirus vendor Panda Security, said that the characters visible in a gold ring on Cybercom's official seal represent the MD5 hash of the group's mission statement. MD5 is a 128-bit cryptographic hash most often used to verify file integrity." This page was last modified on 29 July 2010, at 14:42. This page has been accessed 87,378 times.